Flemish painter, son of a cloth merchant living in Antwerp, but of Dutch origin. According to van Mander, Cornelis was learned in poetry and history and only painted as an amateur, not for a living. 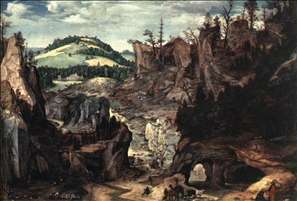 Documents in the Antwerp archives invariably refer to him as a merchant, never as a painter, which no doubt accounts for the small number of known paintings by him. In 1545 he was apprenticed to Jan Adriaensen and in 1556 became a free master of the Antwerp guild. In the same year he married Beatrix van Liedekercke, a member of an Antwerp patrician family. They lived in Antwerp until late 1565, when, apparently for religious reasons, they left for Breda, together with the artists mother, who had become a widow in 1561. In 1571 van Dalem, who was then living in a small castle near Breda, was accused of heresy. Between 1560 and 1564 Bartholomeus Spranger was his pupil. 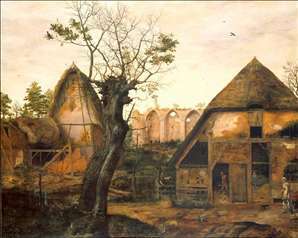 See more details about "Landscape with Farm"